Global team now from Seattle to NYC, Argentina, Italy… global company with some serious roots in the USA. Congratulations, Rob, on the life time achievement award! I started in BTR in 2012 and left in 2015. Some advantages BTR has that could be brought to Spreaker are the call-in system for callers to the show that their numbers show on your studio and they can listen in by phone (just mute them when done talking and they keep listening); slide show instead of a single episode image; and automatic announcement to selected social media at the start of the show with a blurb about the show. Some disadvantages to be worked out are BTR sometimes has audio ads on the show page that start spontaneously and very loudly; chat client does not work with all browsers and versions; inability to pre-record and pre-schedule a show to start without having to call in and start the audio for it. Branding the two together . . . use the BTR microphone in front of the Spreaker star? iTunes uses this URL http://www.spreaker.com/show/2401110/episodes/feed as a source of your episodes mp3's to make them available inside Apple Podcasts app and iTunes. Thank you will iTunes guide me on the steps to follow in order to download a podcast from Spreaker? How do I make my pods available on iTunes? Francesco, Thanks for jumping on that question. A benefit to doing host read ads in your show. Hi Daryl. Youtube basically "copies" the content and so we can't put dynamic ads into that. Which means that we cannot give you recognition for the ads plays on youtube. Daryl, I will check into that. Greetings. My name is Daryl. My New podcast is Daryl's Dream Audio-Sermons. Why can't I hear commercials when listening to my episodes on YouTube? Thank you, Tamara! Alex did a great interview! Great interview Alex and Francesco. Congrats on your new role Rob! Tamara, Nothing is going to change very fast. 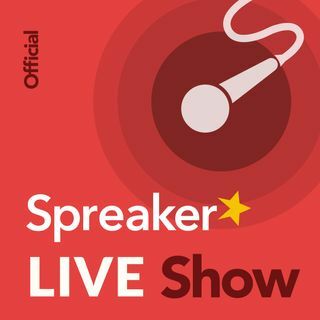 Is the Spreaker name going to change? Which company is kind of taking the lead as far as who's going to be more dominant in this merge. hey calm down @alex :smile: Nothing's gonna happen to the show! Uh oh.... I missed the beginning of the episode. I hope that BTR doesn't ruin Spreaker. Everyone always talks about how awful Blog Talk Radio is.